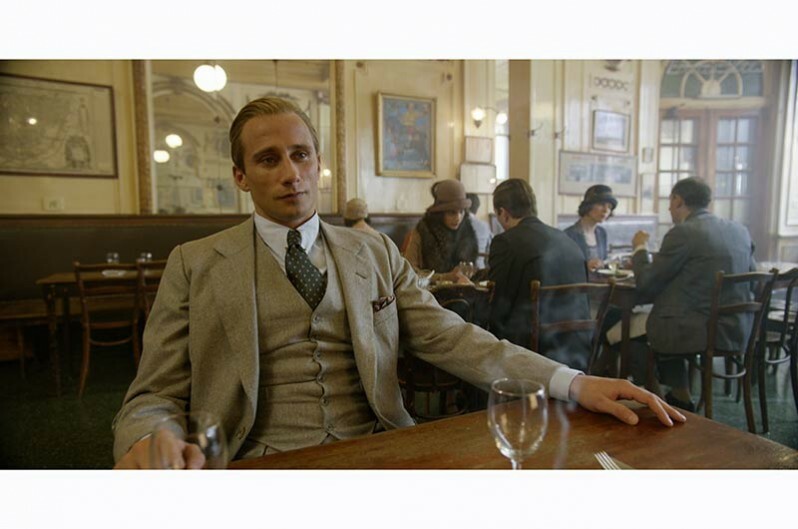 ©2015 Focus Features. All Rights Reserved. 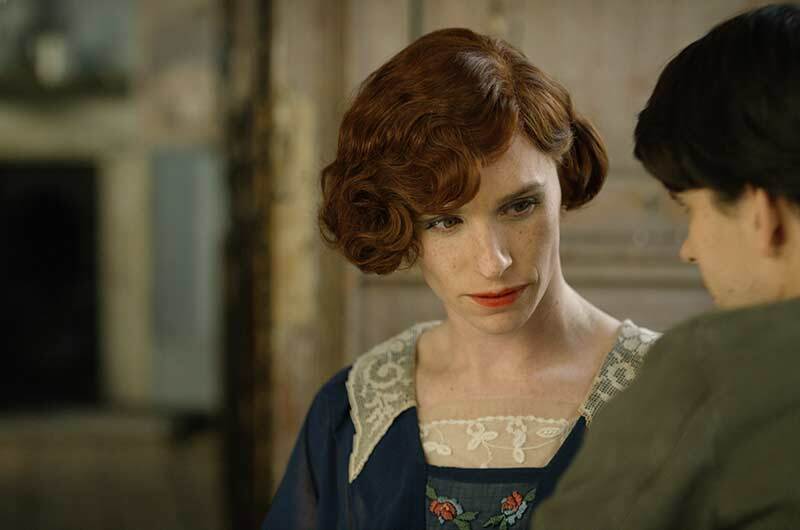 Famed Danish artist Einar Wegener [Eddie Redmayne] has kept her true self Lili Elbe tamped down and hidden from everyone, including at times, herself. Photo ©2015 Focus Features. All Rights Reserved. 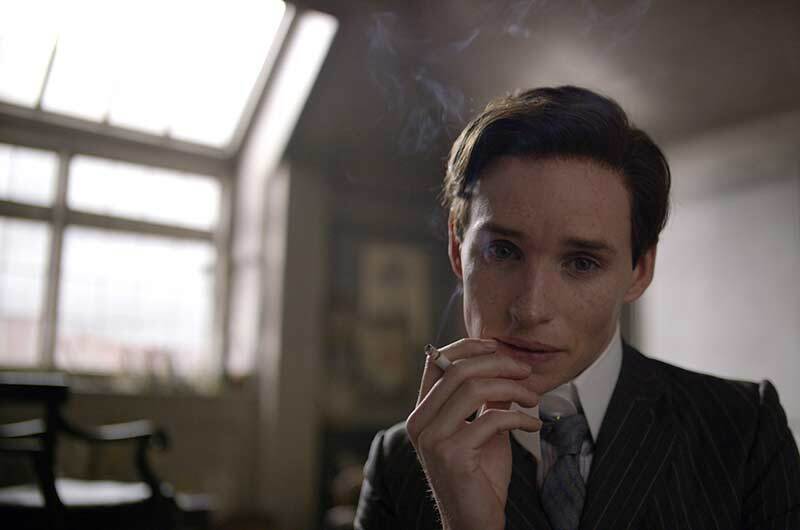 Lili [Eddie Redmayne] faces meeting Einar’s dear childhood friend, who does not know of her existence. 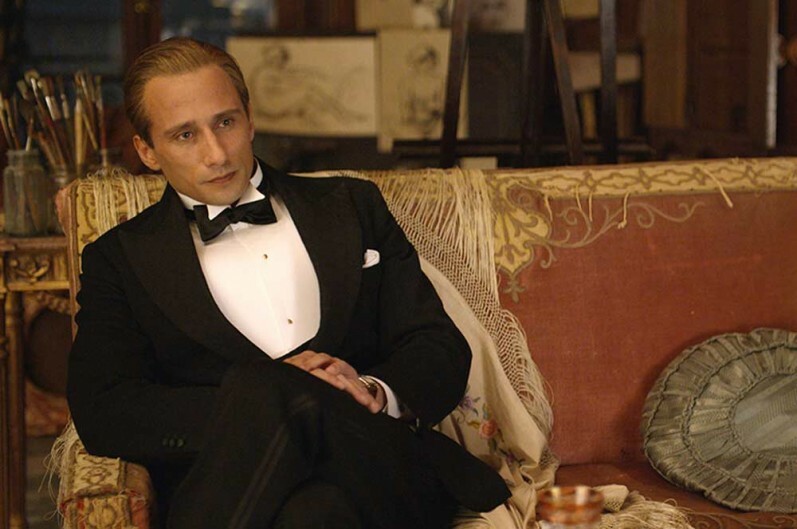 Hans Axgil [Matthias Schoenaerts] is puzzled by Lili but is stalwart in his friendship. 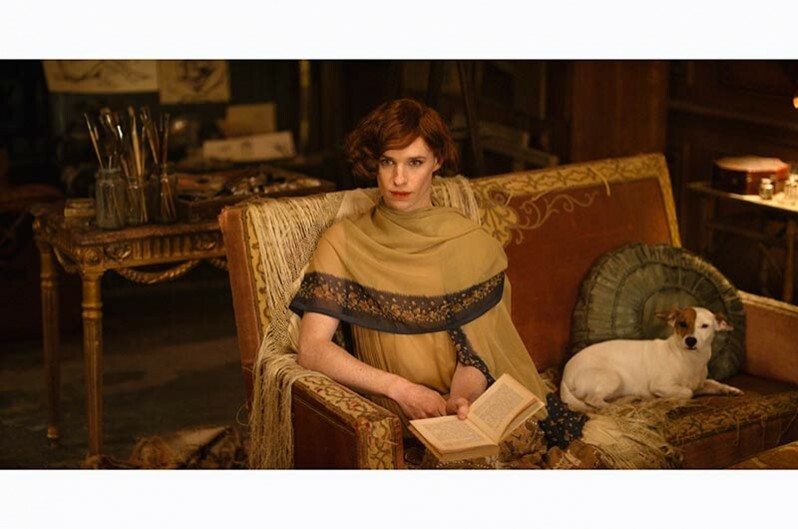 The film THE DANISH GIRL is a remarkable love story inspired by the lives of Lili Elbe/Einar Wegener and Gerda Wegener. 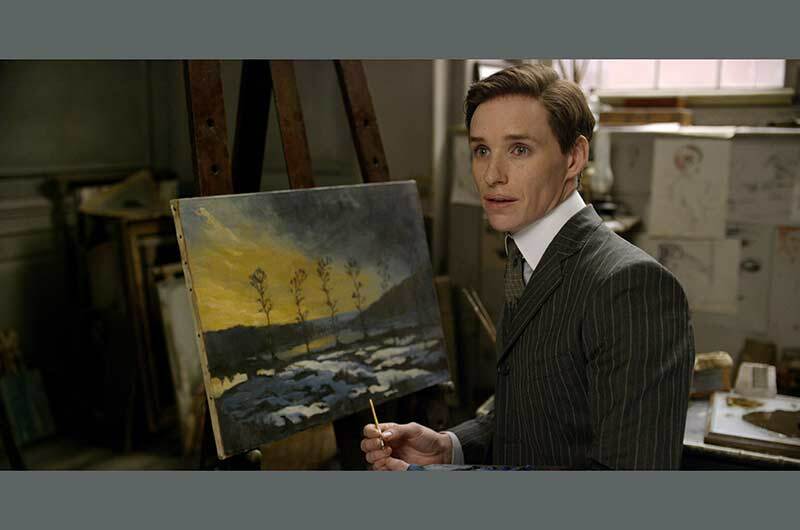 In 1926 Copenhagen, artist Einar Wegener [Eddie Redmayne] is revered for landscape paintings. Wife Gerda [Alicia Vikander] is also an artist, less renowned but steadily working as a portraitist of prominent citizens. Theirs is a strong and loving marriage, yet personal and professional epiphanies have eluded them both. One day, on deadline for a portrait, Gerda asks her husband to fill in for a model by putting on a dress so she can finish the painting. The experience is transformative, as Einar soon realizes that being Lili is an expression of her* truest self, and she begins living her life as a woman. Gerda unexpectedly finds that she has a new muse and renewed creative ferment, but the couple soon brush up against society’s disapproval. 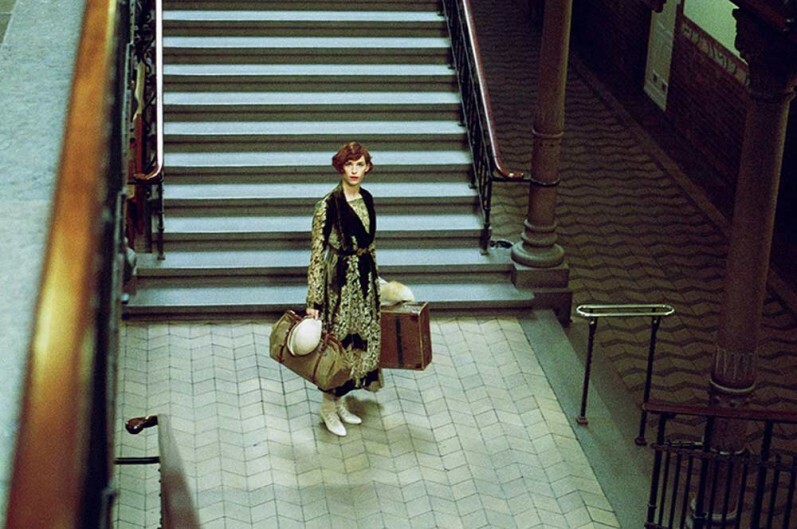 They leave their homeland for the more open-minded world of Paris. There, it is Gerda’s career that continues to flourish. The couple’s marriage evolves beyond definition, but not without strain. 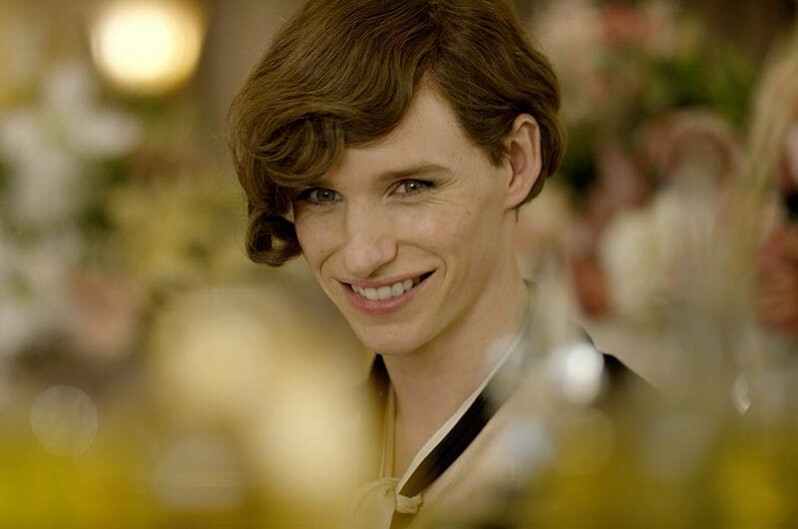 Yet again and again, Gerda supports Lili during her journey as a transgender woman. Through the other, each of them finds the courage to be who they are at heart. 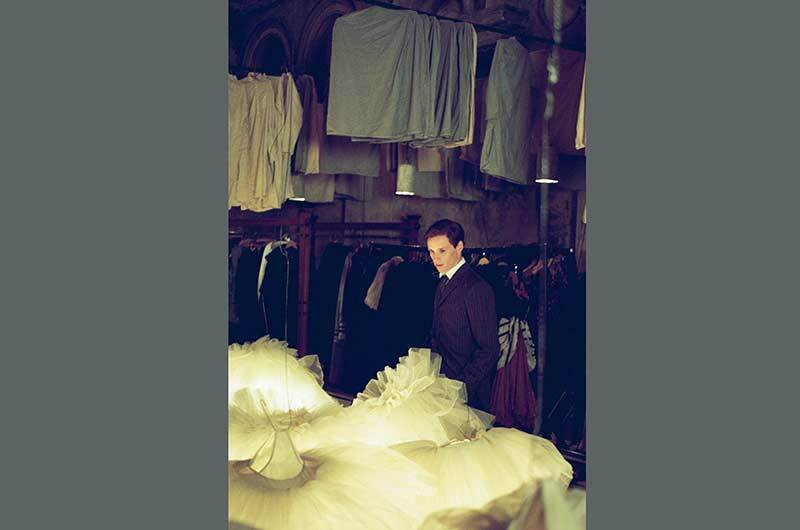 Director Tom Hooper: Thank you. Since this was a story about artists, we felt it was right to present it not only realistically, but also through a painterly focus, so to speak. Hooper: Well, Eve Stewart and I have a collaboration that now goes back 10 years and a set of 6 films. 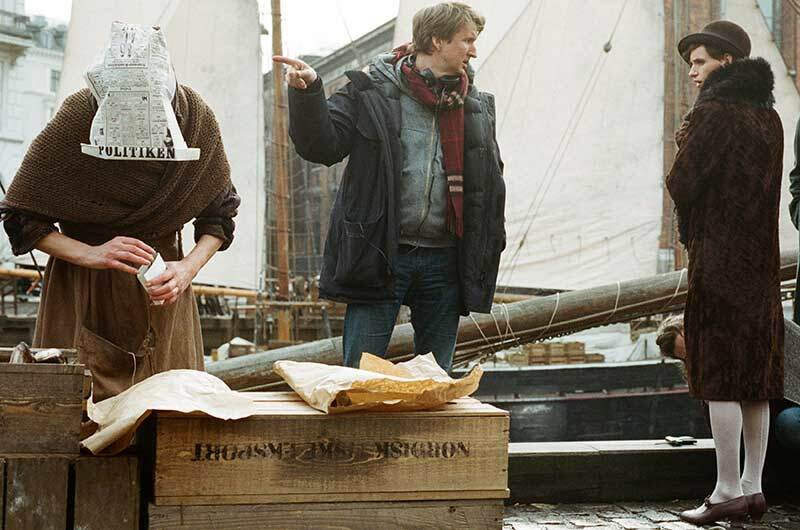 We started on ELIZABETH I, with Helen Mirren and Jeremy Irons for HBO, where for five-million, she had to re-create Elizabethan England in Lithuania. There’s little…there is no Tudor in Lithuania [he says wryly]…and she did the most extraordinary job building epic-scale sets for no money. And I still to this day don’t know how she achieved it. We both come out of this low budget British BBC drama background, and one of her great gifts is she’s incredibly resourceful the way she stretches these small budgets and yet gets the details in, along with the large scale pieces. And of course, the people she brings on are amazingly talented and inspired by her and the material. Hooper: Yes, exactly. 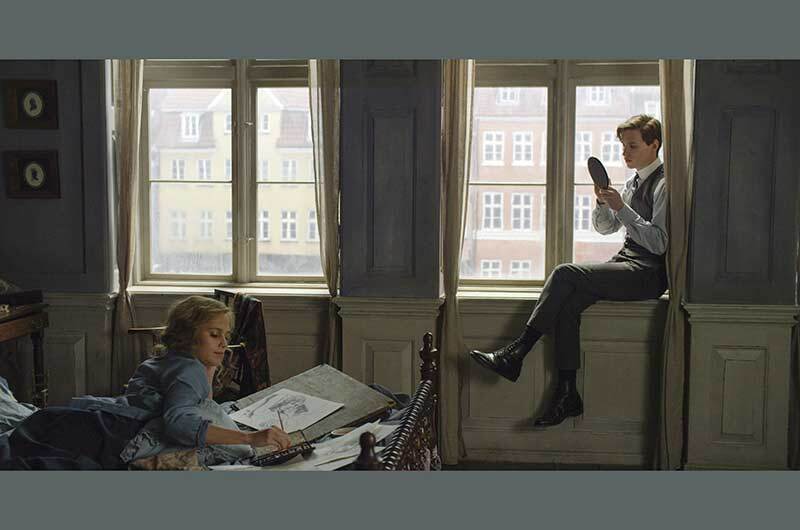 The center of THE DANISH GIRL is the Copenhagen conservatory and the apartments for Copenhagen and Paris, all built in Elstree Film Studios, London. Early on, Eve introduced me to the paintings of the brilliant Danish artist Vilhelm Hammershøi. Hammershøi mainly painted scenes of his own apartment or figures standing in his apartment, and it was all in this wonderful, austere blue-grey palette, very Danish. There’s this sense of loneliness and alienation in these canvases, so Eve had this idea of building a set inspired by the Hammershøi paintings. I liked the idea, because there was something in the austerity of the color scheme that helped reflect what it might be like to be Lili living as Einar, to be constricted living in a gender that you didn’t feel comfortable in…And it would make a great contrast to the world of Paris that we move into. If you look at the film and then at Hammershøi paintings online, you’ll see that there are certain shots that really are direct replicas of his paintings. Again, Hammershøi’s palette is a very specific range of blue and grey. Once you’re into his world it’s amazing how rich it is; you find beauty within constraint. I think when you talk about the importance of detail, the finish of the walls was so critical. 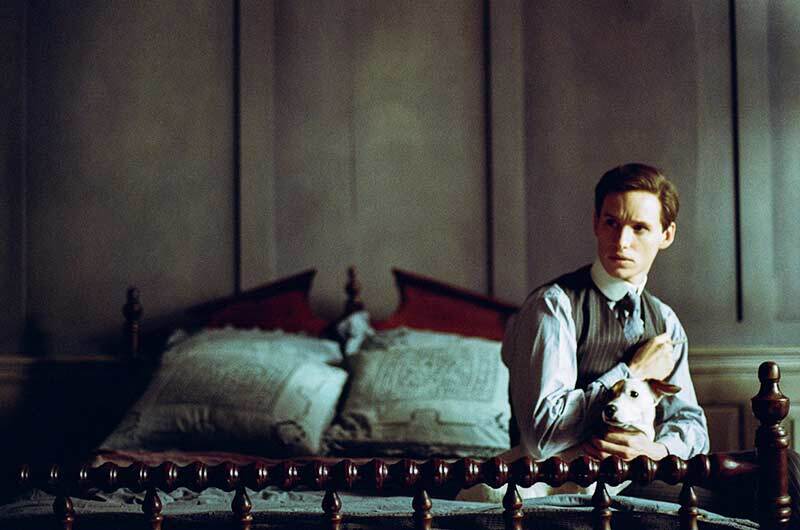 I think Eve was responsible for finding that amazing room in THE KING’S SPEECH with that distressed wall, which shows the power of a flat surface and how if you get the right finish, something so simple can be so cinematic. So we worked a lot with getting that right and comparing with Hammershøi’s look. We had his books and paintings around for the team to reference constantly. Hooper: Happy you noticed that. I’m also a great fan of the Dutch masters, since back when I was a student. The first flat I bought in London, I had reproductions of Vermeers and the Dutch paintings just in clip-frames on my walls. So there are some references to the still life tradition. Hammershøi always linked back to Vermeer, so there’s a love of that genre. And the Dutch section of JOHN ADAMS [HBO mini-series] is my love letter to that school. For the Paris section, we were very much inspired by the wonderful director Lana Wachowski, whom I had the great fortune to meet for a couple of inspiring hours with Eddie Redmayne. The producers, and I was one of the producers, were constantly worried that we didn’t have enough money to add a third country because we were already in Copenhagen [Denmark], we were already in London [UK], but Eve fought with passion for the importance of that look, inspired by Lana’s words. And here she was absolutely right. She pointed out, “If we’re trying to do France in London, we’d never have money to build a restaurant or Hans’s office. We’d never have the money to dress the sets substantially. But if you go to the right location, you set the camera up and you have massive visual hit and you don’t have to spend masses of money to build. I mean, you have to get there, but once you get there…” So that’s where she’s very smart. Hooper: Yes, that’s it. And, you know, this was a film under $15-million, shot in four countries, and I think Eve and team had 56 sets to dress. So she’s a magician to me, and her team is extraordinary. 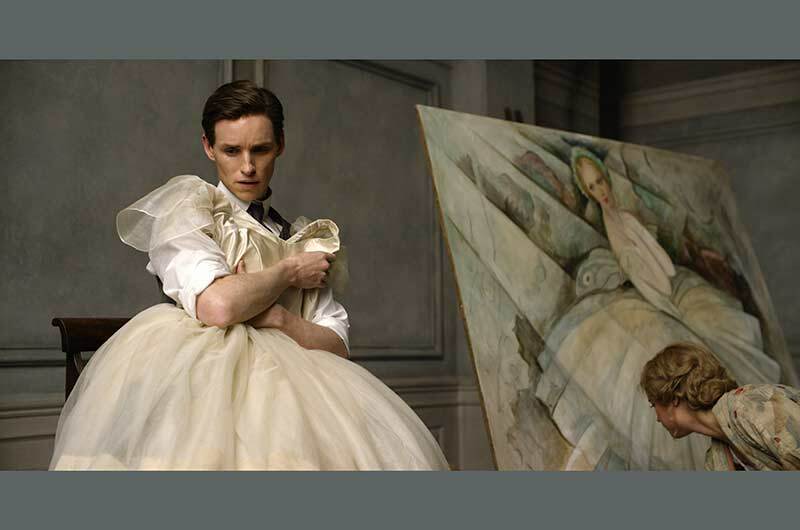 About a month later, she sat me down and said, “You do know that the real Lili paintings don’t look like Eddie Redmayne?” And I’m like, long pause and then an expletive. So we started to do our own Lili paintings and we had our amazing team led by Susie Brough, the lead painter, and we tried to cut corners and do it fast. We would blow up copies of the Lili paintings, matte them out and then project the image of Eddie’s face into them, but they still didn’t look quite right. And you know what the key was? The key was to get Eddie to sit as Lili for Susie and to do it the old school way, and that’s when the paintings came alive. SET DECOR: And your presentation of of Gerda creating these paintings, sometimes shot from behind the canvas, through the painting, was brilliant. Hooper: Lovely. That was great. Danny lit those in this wonderful way where you could see through the canvas and it created more…particularly the first time Gerda is driven to paint Lili, slightly against her judgment, and it creates a beautiful suspense, because you don’t see the full image until you actually come around. Hooper: I have to say, my first short film, the first proper short I made as a professional with a professional crew working for free and professional actors working for free, I was 18 years old and it was called PAINTED FACES. I shot it in an art studio and it was about an artist whose subjects come out of his paintings and take control of him, and in the end, the painter becomes the subject of the painting and one of the characters has become the artist. So for me, this film was sort of going back to a theme of painting and of artists. 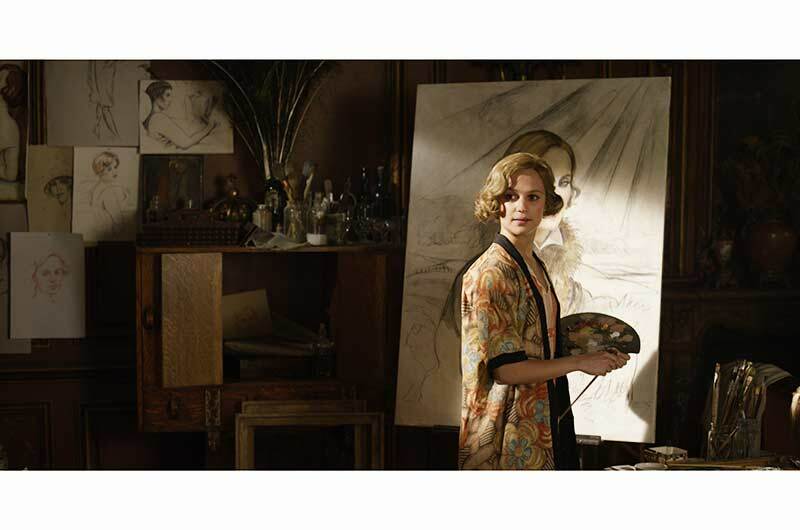 SET DECOR: Other than the obvious, the paintings for THE DANISH GIRL, can you tell us an aspect of the set dressing or element of the set dressing that stood out for you? Hooper: Well, with the attention to detail, even the bedsheets in the Danish apartment…normally they would be white pillows and white sheets and a perhaps black throw. Instead, they’re all these exquisite Danish blues that work with the set. SET DECOR: And the crocheted edges and linen texture in the grey-blues compared with Paris where it’s all brocades and silks and lush colors.